Becoming a professional player is no easy task and the commitment and sacrifices Dorian had to make is something very special. Kansas players in the NWSL is no surprise but it is something that we should all recognize and share as we compete to show the nation how great our soccer players can be in the Sunflower State. 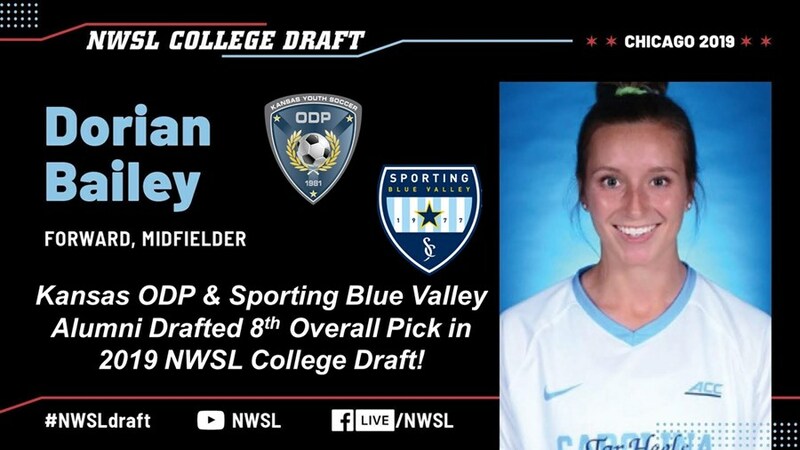 Dorian becomes the 12th player ever from a Kansas youth soccer club who are now or have played in the NWSL. 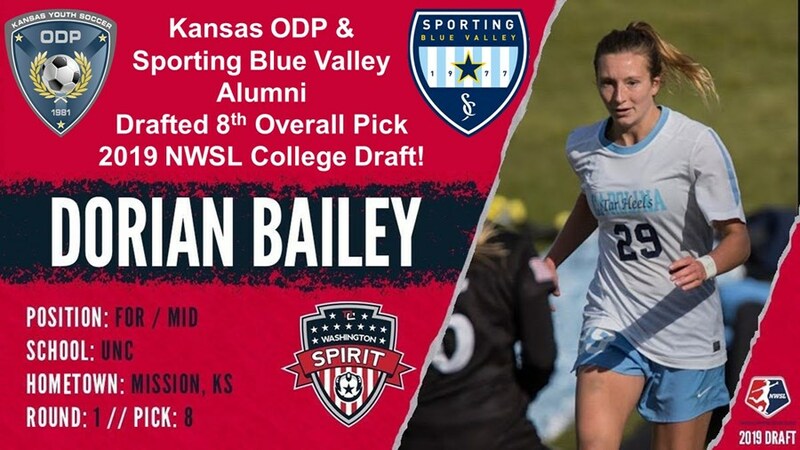 Bailey, a Mission, Kansas, product, was taken eighth overall by the Washington Spirit. A third-team All-ACC pick, Bailey also started all 27 games for the national runners-up and tallied five goals and three assists on the year. Bailey ends her playing career as a Tar heel with the following statistics. Congratulations Dorian Bailey and we can't wait to see what you can do in the NWSL with the Washington Spirit! CLICK HERE FOR THE VIDEO MOMENT OF WHEN DORIAN WAS DRAFTED!